Named after the Cantonese slang term for high-flying executives, The Tai Pan restaurant on the upper ground floor of The Murray, Hong Kong means business. 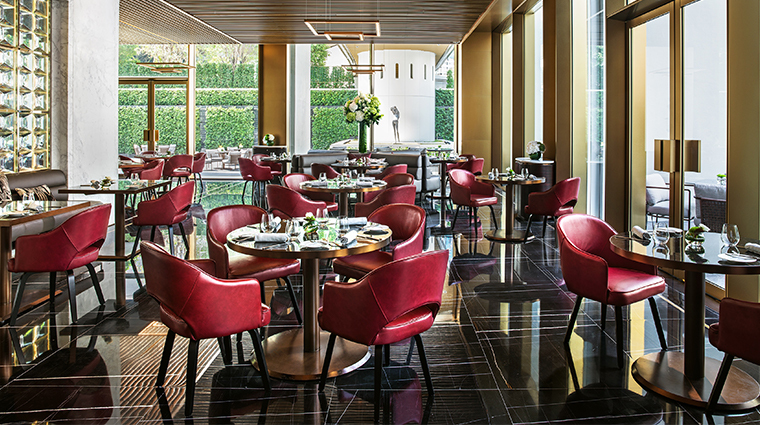 The recently renovated property is a work of art, and its elegant internationally inspired eatery follows suit. 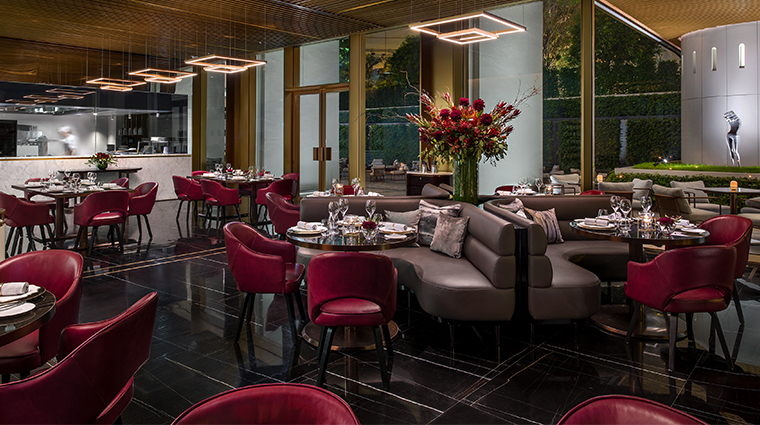 With floor-to-ceiling glass windows, the restaurant’s light-filled interiors feature black and white marble, gold accents and lush red furniture that’s as richly hued as the burgundy in your wine glass. Like the surrounding hotel — a revitalized government building with a dramatic white facade — the aesthetic strikes a balance between modern and timeless. A mostly monochromatic palette allows the food to be the star of the show. 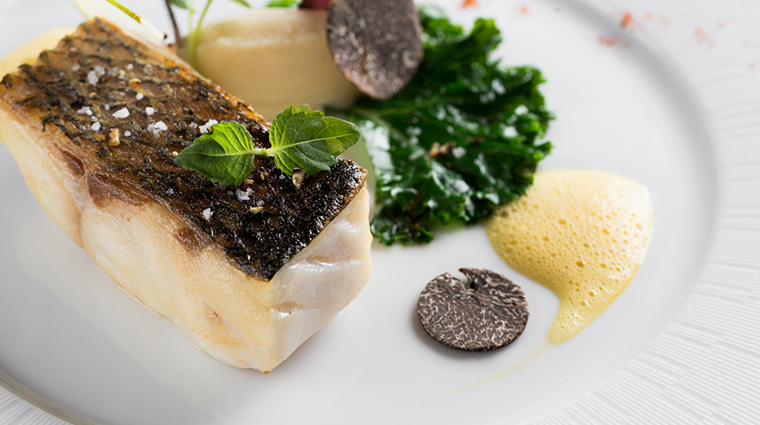 Indeed, the modern European menu will take you on a gastronomic adventure with beautifully plated dishes and delicious wines to match. A well-paced three-course dinner is just enough to experience a few of the high notes at The Tai Pan. There’s an enviable vino menu, as part of the hotel’s master cellar wine program that celebrates renowned producers, such as the Leeuwin Estate “Art Series”from Margaret River, Australia; G.D. Vajra Barolo Bricco Delle Viole from Piedmont, Italy; and Querciabella Batàr from Tuscany. Don’t leave without trying the mashed potatoes — which we’re pretty sure are mostly composed of butter — that arrive in a rustic red cast-iron cocotte. All of the restaurant’s bread and desserts are made in house, so bring an appetite for carbs. 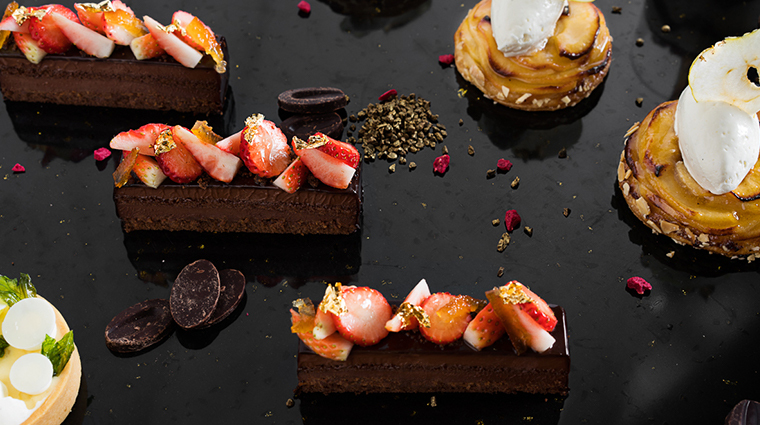 Every meal concludes with offerings from a tempting dessert trolley laden with cheesecakes, tiramisu, lemon tarts and panna cotta. The Hong Kong restaurant serves lunch daily, closing for a few hours before dinner. Sporting an intimate atmosphere, the restaurant seats 66 guests indoors with an additional 48 seats on the terrace. We’d recommend making reservations in advance to secure a coveted booth indoors during the steamy summer season. You can access the restaurant two ways: enter through the lobby and head up the elevator one level or stop first for a libation at Murray Lane bar on the ground floor before ascending the adjacent stairs. The Tai Pan doesn’t enforce a dress code, but smart casual is recommended. 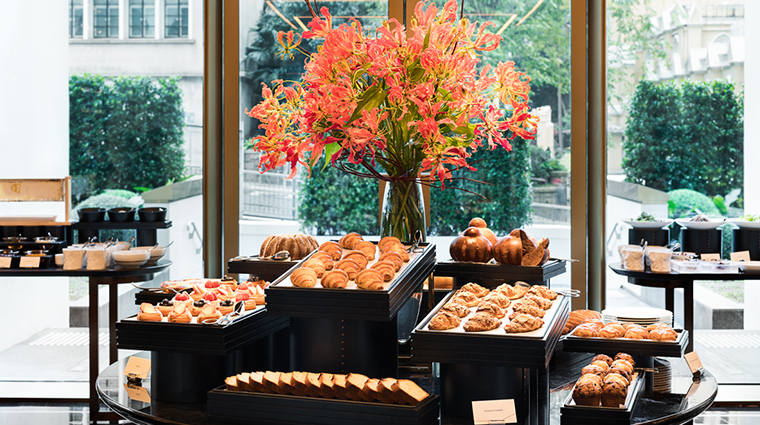 The Tai Pan provides a lavish breakfast experience for hotel guests. Choose a main course from an à la carte menu — dim sum, pancakes or omelets — then graze the continental buffet, which features all kinds of cheese, charcuterie, yogurts, fresh fruits and housemade pastries. Every meal starts with an amuse-bouche — little bites to pique your appetite — which could take the form of chicken liver mousse or smoked salmon topped with roe, depending on the season. Divided into clear sections — From the Garden, From the Sea, From the Land — with wine pairing recommendations conveniently listed on each page, the dinner menu is easy to navigate. Popular for business meetings, a two- or three-course set lunch menu offers a choice of appetizers — like burrata, king crab salad or a fennel-infused lobster bisque — followed by a main, which could include the likes of wild mushroom risotto or Tasmanian king salmon. 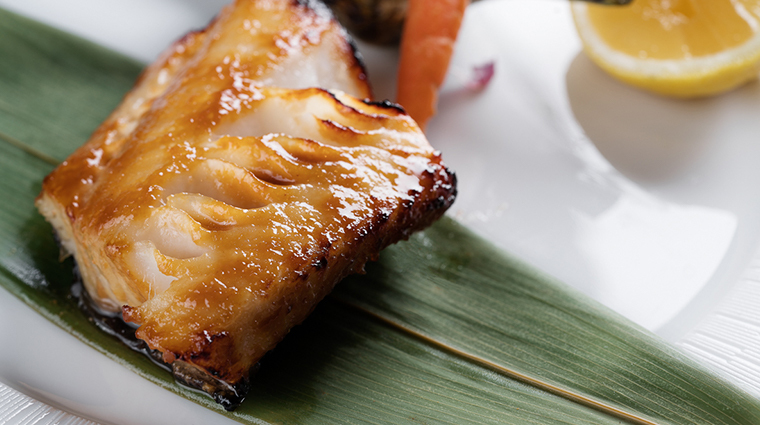 Dinner highlights include sirloin topped with café de Paris black garlic butter, and Alaskan black cod with miso and seasonal vegetables. We particularly enjoyed the semi-open kitchen, where you can watch the chefs in action through a fishbowl-like window, and the enormous glass facades streaming in natural light. For couples, we’d recommend one of the four booths, which provide a little more space and intimacy than the standalone two-tops. The fine-dining restaurant overlooks the property’s gardens — grassy plots, green walls and magnificent avant-garde sculptures from the hotel owner’s personal collection. Geometric gold chandeliers hanging from the ceiling add a modern touch to the otherwise timeless European design. The handsome aesthetic will appeal to power lunchers and business travelers, looking to make an impression.